Obituary for Bernice Mae (Dean) Nickerson | Crouch Funeral Home, P.A. 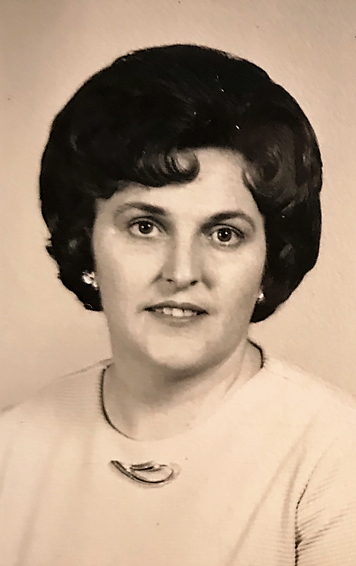 Bernice Mae Nickerson, 79 of Elkton, MD, passed away Monday, April 1, 2019 in the Seasons Hospice & Palliative Care, Newark, DE. Born in WV, on August 22, 1939, she was the daughter of the late Ray and Arvena (Pritt) Dean. She retired from the Comfort Inn, Newark, DE as a manager and also was a wonderful homemaker. Survived by 1 son: Walter Biggers (Kim) of Elkton, MD; 3 daughters: Sharon White (Bill) of Elkton, MD, Karen Blankenship (Michael) and Charlotte Steele of North East, MD; 3 stepsons: Jeff A. Nickerson (Nancy) and R. Earl Nickerson of Earleville, MD, Curtis Nickerson (Susan) of Ft. Lauderdale, FL; 2 stepdaughters: Lisa Rhoades (Mark) of Chesapeake City, MD, Linda Hicks (Tim) of Pittsburgh, PA; 1 sister: Betty Sue Fritz of VA; 2 brothers: Randall L. Dean of St. Augustine, FL and William R. Dean of Benson, NC; many grandchildren and numerous great grandchildren. In addition to her parents, she was also preceded in death by her husband: Robert J. Nickerson; her brothers: Charles D. Dean, Sr. and Roy Dean; and sister: Helen Bolt. Funeral service will be held Saturday, April 6, 2019 at 11:00 am at Crouch Funeral Home, P.A., 127 South Main Street, North East, MD, with visitation beginning at 10:00 am until service. Interment will follow services in Bethel Cemetery, Chesapeake City, MD.